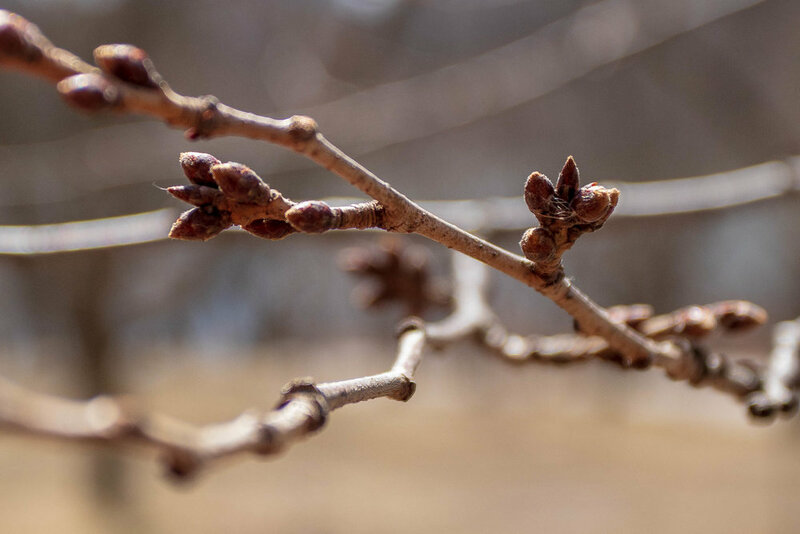 Sakura Watch, April 4, 2019 - Windy day in the park made it challenging to get good photos and videos, but the wind gusts weren’t strong enough to cause any real damage to the trees. The real concern I had was with the cold. The continued exposure to cold weather has slowed bud development and is keeping them locked in the early stages. With this continuing trend, the approximate dates for a peak bloom continue to be late-April or early May. More observations will be needed into mid-April before getting a more accurate time frame. Thanks for visiting and watch for more updates soon.